Haunted Mansion collectibles have never been more popular as evidenced by the lines of guests waiting to purchase the latest Hatbox Ghost tiki mug. This makes choosing only five fiendish favorites from the beloved Disney Haunted Mansion no easy task. 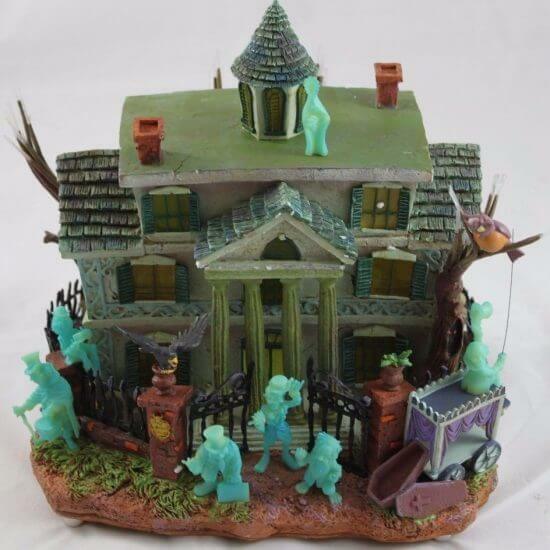 From large “big figs” like the Hatbox Ghost to small metal miniatures representing the concept art for the Mansion’s ghostly inhabitants, there is so much macabre mansion memorabilia it is difficult to choose which dark delight to feature and favor. Part of the limited edition merchandise released for Disneyland’s 50th, this set of four large cloth tapestries is about as close it gets to being in the stretching room. 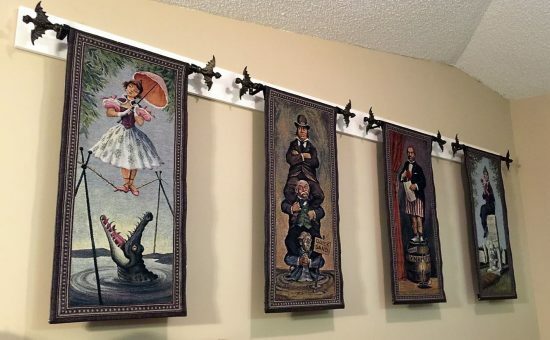 Each oversized wall hanging depicts one of the four stretch room portraits from the Disneyland, CA haunted mansion stretch room. The hanging rods are finished with smaller versions of the bats that top the stations in the load area queue. Only 999 of each portrait was made. 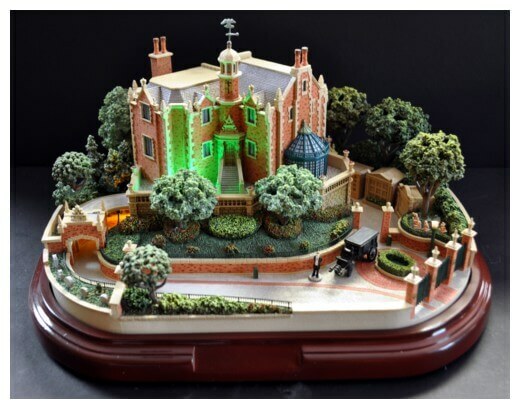 This highly detailed Mansion masterpiece is part of the Walt Disney World Main Street U.S.A. Collection. 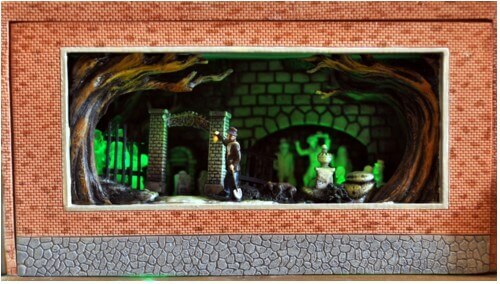 Highly detailed and illuminated, the piece includes the Mansion proper, entry gate, horseless hearse, butler, iconic Imagineer tribute tombstones, pet cemetery, and exit mausoleums. The back of the Mansion has a removable wall to view the happy haunts within. 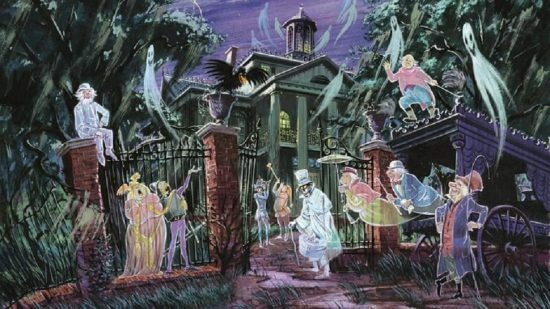 Three different scenes can be changed out: ballroom scene with illuminated ghosts, graveyard scene with the caretaker, dog, and hitchhiking ghosts, and portrait hallway with a glimpse into the stretch room. These three large illuminated tombstones make a nice addition to any haunted home cemetery scene. The set includes two markers with illuminated, ghostly heads emerging from the center: Brother Dave and Cousin Huet. The third, Good Ol’ Fred, has the hatbox ghost standing behind it. All three have outdoor safe power cords and glow a ghostly blue hue when plugged in. There are two of these dedicated to the haunted mansion. Madame Leota’s Séance and the Hitchhiking Ghosts come to un-life when the scene is illuminated. The depth and detail of these “framed” works of art are superbly crafted. 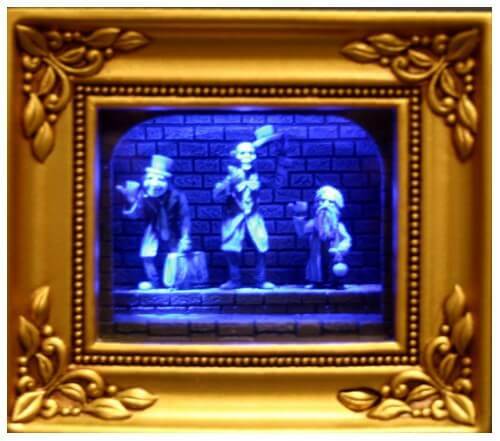 This ultra-rare version of the original Haunted Mansion in Disneyland, CA, is a 3D recreation of a classic Disneyland record and book cover, “The Story and Song from the Haunted Mansion.” Collin Campbell’s artwork is hauntingly recreated in this light up and glow-in-the-dark, highly collectible figurine. Two versions were made: one where the ghosts were translucent and another where the white ghosts were given a ghostly glow-in-the-dark light blue hue. Of course, there’s ALWAYS room for one more… item. 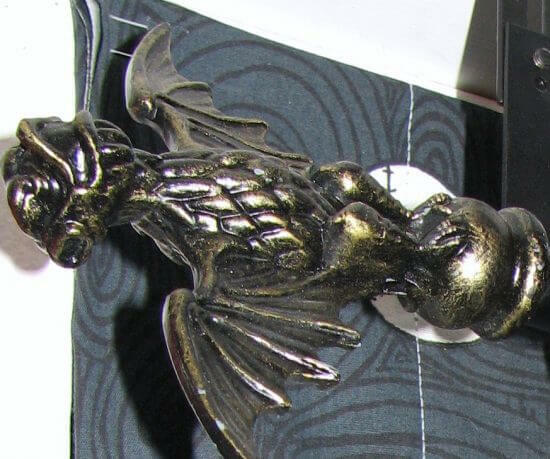 With its own dedicated store, Memento Mori in the Magic Kingdom (and plenty on eBay), fans will continue to collect these relished relics from the Mansion. 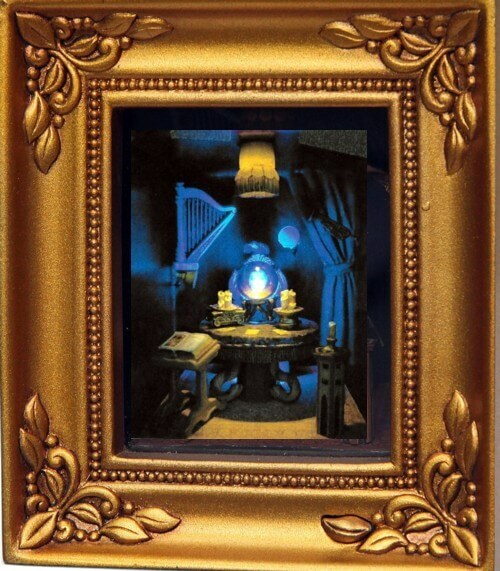 Do you have a favorite Haunted Mansion memento? Please share your ghost story in the comments below. cracking open the crypt of Haunted Mansion collectibles and which reasons behind this one mentioned in the above article. However, I got some positive reviews of insidethemagic at different reliable sources. Thanks a lot for this sound good effort.